Edina Art Fair This Weekend! This coming weekend will mark the 46th Annual Edina Art Fair. Friday, June 1, to Sunday, June 3, enjoy a fun family outing at the corner of 50th & France. The Edina Art Fair, the second largest in Minnesota, is the first official art fair of the summer. This fair showcases a large variety of art from around the Twin Cities and the country. Over three hundred artists will be displaying their unique works, including painting, photography, ceramics, engravings, wood carvings, glasswork, and jewelry. The fair also includes a special collection of GREEN artwork made by artists using only recycled materials. Artists were chosen from over six hundred applicants from around the country. The Edina Art Fair also offers different events, activities, and performances each day. Throughout the weekend there will be fashion shows and musical performances, and a Kids Art Zone provides activities for the whole family, including face painting and puppet shows. A full list of activities and performance times is available at the Edina Art Fair website. A fair would not be complete without delicious food: plenty of booths from local restaurants are gathered in two food courts. Enjoy smoothies, kettle corn, tacos, lemonade, and more. 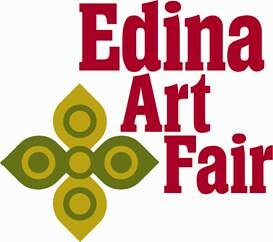 The Edina Art Fair runs from 10:00 am to 7:00 pm, Friday through Sunday, and admission is free. See the website for parking tips. Whether you’re an art buff or just want to enjoy good music and great food, be sure to stop by the 46th Annual Edina Art Fair this weekend! Men’s Fitness recently deemed La Belle Vie as one of the 25 Best Bars in America. 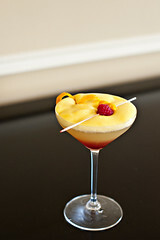 The Parlez-Vous cocktail is noted as a standout. 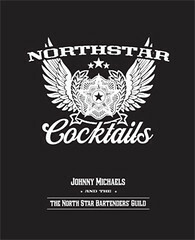 Bar manager Johnny Michaels, author of North Star Cocktails, calls it “a real favorite with the ladies.” For more information about Johnny and the North Star Bartenders’ Guild, visit their website. Other midwestern bars that made the list are The Old Fashioned in Madison, Wisconsin, and The Aviary and The Violet Hour in Chicago. Selected Minnesota Historical Society Press content is now available as part of Project MUSE’s University Press Content Consortium (UPCC) Book Collections. The newly launched UPCC Book Collections provide libraries, researchers, and students with access to a wealth of high-quality book-length scholarship, fully integrated with MUSE’s electronic journal collections. With digital books from more than 65 major university presses and related scholarly publishers, UPCC collections will offer over 14,000 book titles alongside content from over 500 respected scholarly journals in a user-friendly environment with rich discovery tools. To search for our titles, enter “Minnesota Historical Society Press” or “Borealis Books” in the search field. Find out the answer to this and many other questions you may have about Indians but are embarrassed to ask this Thursday, May 3, with author Anton Treuer at the St. Paul Episcopal Church in Minneapolis. Birchbark Books is hosting this event to celebrate the publication of his new book, Everything You Wanted to Know about Indians But Were Afraid to Ask. Anton Treuer is professor of Ojibwe at Bemidji State University. 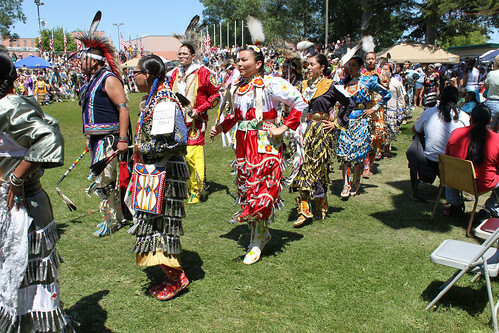 That said, if you haven’t attended a powwow before, here’s a primer on powwow etiquette.